Our team works hard to make sure you have the resources you need to make your program thrive. ​Each of us at NaRCAD brings specialized strengths to all of our clinical education collaborations. Put us together, and you'll find a multi-faceted team with healthcare-centered expertise in ​research, policy, program development, evaluation, training, strategic partnerships, marketing, and communications. Dr. Avorn is Professor of Medicine at Harvard Medical School and Chief Emeritus of the Division of Pharmacoepidemiology and Pharmacoeconomics (DoPE) at Brigham & Women's Hospital. 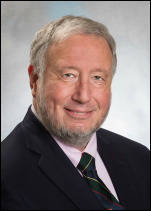 A general internist, geriatrician, and drug epidemiologist, he pioneered the concept of academic detailing and is recognized internationally as a leading expert on this topic and on optimal medication use, particularly in the elderly. Read more. Niteesh Choudhry, MD, PhD, is a Professor at Harvard Medical School and Executive Director of the Center for Healthcare Delivery Sciences at Brigham and Women’s Hospital, where he is also an Associate Physician in the Division of Pharmacoepidemiology & Pharmacoeconomics and a practicing Hospitalist. ​Read more. Bevin manages NaRCAD’s external communications and strategic partnerships, overseeing NaRCAD's Partner Network and focusing on forging new collaborations between clinical education programs. Kayland joined NaRCAD’s team in 2018 to manage public health trainings. Her role centers on capturing critical successes in public health detailing, especially with emphases on marginalized populations, and will support our many national partnerships, including trainings on location in vulnerable communities. . Read more. ​Kristina coordinates NaRCAD events, including registration and logistics for the annual conference series and academic detailing trainings. She also works on various communications and engagement projects, finding creative ways to improve resource access for clinical educators and AD programs in NaRCAD's network. Read more. Sarah is Assistant Professor and Program Director for Academic Detailing in the Department of Clinical Pharmacy & Outcomes Sciences at the South Carolina College of Pharmacy in Columbia, South Carolina. She is core faculty for Health Systems Research & Policy, Division of General Internal Medicine & Geriatrics at the University of South Carolina. ​Read more. Dr. Doyle Tadduni is a training facilitator at NaRCAD, and an academic detailer with the Independent Drug Information Service of the Alosa Foundation. Mary Liz's background has included critical care and medical-surgical nursing, nursing administration, and hospital administration. Zack is an clinical pharmacist with the RxFiles Academic Detailing Service in Regina, Saskatchewan, Canada. He has been involved with the RxFiles since 2008, with experience in both academic detailing and content development of RxFiles’ evidence-based drug therapy comparison tools. Read more. Melissa has been a registered nurse for over 20 years with clinical experience in nephrology, cardiology, and developmental disabilities. Melissa has worked with several programs educating the public, including one on cardiac disease prevention for women, & another on caregivers for persons with disabilities. Read more. Loren is the Program Coordinator of the RxFiles Academic Detailing Service in Saskatoon, SK, Canada. Loren has guided the development of this provincial academic detailing service since the first pilot project began in 1997. Loren is active as a member of the Canadian Academic Detailing Collaboration and provides training and consultation to various programs and initiatives. Read more. Amanda is the Director of the Vermont Academic Detailing Program at the Office of Primary Care, University of Vermont. She has delivered Academic Detailing sessions to over 700 participants since 2003. Amanda regularly serves as a facilitator for NaRCAD. ​​Read more. Deborah is a family medicine physician who joined the Colorado Department of Public Health and Environment in 2016 to build the department's first detailing program and provide clinical education outreach on HIV prevention, sexual health and opioid safety. Brenda Schuster is an academic detailer with the RxFiles Academic Detailing Service in Regina, SK, Canada. Brenda has been providing academic detailing services for the last 15 years and she combines this with her clinical practice at the Academic Family Medicine Unit. She is involved in teaching family medicine residents and works along side them to assist in their daily prescribing decisions. Read more. 2018 HIV PrEP Public Health Detailing Institute, San Francisco, CA: Our team of talented facilitators makes our trainings memorable and dynamic.